1. Cut the baby corns lengthways into two, set aside. 2. Mix maida, cornflour, salt, chilli powder, ginger garlic paste, coriander and water to form a soft batter. 4. Dip each baby corn in the batter and fry until crisp and golden in colour. 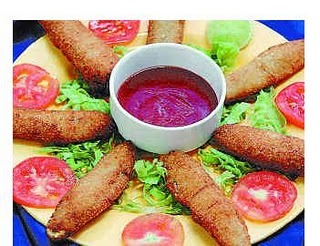 5.Serve hot with coconut chutney or tomato sauce.